Kahuna, also known as Lomi Lomi massage, was founded by the ancient master healers from Hawaii. It was once exclusively reserved for royalty due to its exquisite and powerful connection to the Body, Mind and Universe. Kahuna is performed in a way that makes receivers feel deeply relaxed, so much so that many clients have touted it as life-changing. Kahuna or Lomi Lomi is undoubtedly the most premier massage available because its seamless blend of philosophy, healing and other methodologies merge into a comprehensive massage. 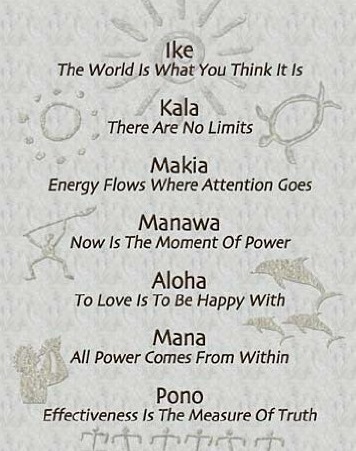 The intriguing philosophy is known as ‘Huna’ and involves 7 principles that the practitioner lives by, and instils the wisdom of, into the massage. Its simplicity is strikingly effective and evident in the outcomes of the Kahuna massage. The Kahuna Massage will begin with brisk, long arm strokes into the air over the patient to shift the centre of energy. The aura is traced along the body from head to toe, and from toe to head. A channel for energy is opened as the practitioner places one hand on the nape of the head, and the other arm is raised up towards the sky. Energy or ‘mana’ is drawn down from the heavens and infused into the patient, creating a sense of warmth and safety. The practitioner uses unique Kahuna footwork and focuses on breathing whilst gracefully moving around the table. The focus (Makia) on breath and footwork allows the practitioner to remain in the moment (Manawa) where it assists the energy flow both within the practitioner and recipient and helps keep the energy at a high level. 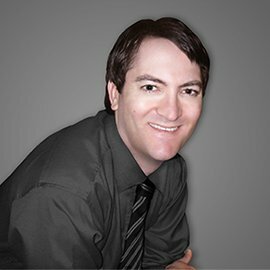 Our Relaxellent Kahuna therapist, George, moves gracefully around the massage table with long sweeping movements from the head to the toe. Like ‘tai chi’, the Kahuna practitioner is literally in a moving, meditative trance whilst constantly harnessing energy (Mana) and driving it into his/her own body and through the patient’s body in a constant flowing cycle. In this intuitive flow, the practitioner and patient are highly connected at a spiritual level. The practitioner is able to read the imbalances of the body and is led to where energy (mana) needs to flow. It’s all intuitively guided as the practitioner remains in a focussed moving trance, listening to subtle feedback from the patient’s body. The next Kahuna move is always based upon the reply from the intricate network of energy the practitioner has tapped into. The graceful and impressive flow of a Kahuna massage is truly unforgettable for most clients. There is a myriad of factors that come together to make it so special. One of those aspects comes from the practitioner’s ability to use intuition rather than engage in a disconnected, cold, robotic or mechanical type of massage. The practitioner maintains the connection with ‘mana’ during the entire massage. This connection ensures that the massage is entirely organic and remains relaxing throughout the entire course of the massage. To maintain this connection and ensure the flow of energy, the practitioner must keep focus. An effective way the therapist keeps ‘in tune’ with a perfect massage flow is to use music. Carefully selected music is used during a Kahuna massage that benefits both the patient and practitioner. A massage that is robotic or feels rehearsed isn’t relaxing. It tends to feel awkward as the masseur is relying on logic, using calculations, and counting massage moves. If each step is ‘planned’ by the masseur, the client becomes aware of what’s coming next and can notice patterns. This can result in a client who can predict a movement and become rigid and not relaxed at all. The same goes for a practitioner. If a practitioner begins using calculated movements they will also become rigid. A rigid practitioner is cut off from access to universal energy. Rather than allowing the universe’s energy to decide on the massage movements through intuition, it relies on ‘decisions’ of the practitioner’s own mind. Rather, an authentic Kahuna practitioner will invite a higher energy, connect to it, and allow it to guide the entire massage. Thus the massage is connected, warm, beautifully in flow and magically accurate with balancing the client’s body, mind and soul. If you suffer from Depression or Anxiety, a Kahuna massage is going to be one of the best opportunities for you. The organic nature of the massage and the disconnect from ‘calculated’ movements, as well as the feeling of stress, is one of the most relaxing and balanced types of massages you can undergo. Those suffering from depression or anxiety can head over to Mindivine to get some more insight into how both depression and anxiety can be treated. The Mindivine audio package uses both audio and guided imagery to greatly reduce symptoms of anxiety and depression. If you’d like to learn more about treatment for depression or anxiety, take a look at Balansoul’s mental health treatments website. A traditional Serong is used over the undressed patient and ‘modesty’ towels are accessed to ensure complete privacy and ensure a feeling of safety. To ensure you’re comfortable with the whole process, your therapist will discuss the draping process before the massage. Relaxellent’s Kahuna Lomi Lomi massage services extend from Shepparton to the surrounding areas of Echuca, Benalla, Kyabram, Wangaratta, Cobram and Bendigo.